Dare diving in your holidays in Portugal! 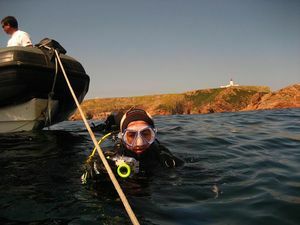 Portugal is home to excellent locations for diving: the best areas are in the steep areas of island Berlenga, Peniche, and the coast of Sesimbra; as well as in the characteristic sea caves in the Algarve coast, between Albufeira and Sagres. It is worth noting that water tends to be a bit cold here (between 14 and 16ºC), with little seasonal variation, so five-millimeter-thick suits are advised. Visibility in these waters tends to be between 4 and 6 meters, and between 15 and 20 on good days. Praia do Carvoeiro is one the best places for beginners, since there is specialized staff offering PADI-certified courses. Lagos and Sagres, in the Algarve, are also two excellent choices to begin. 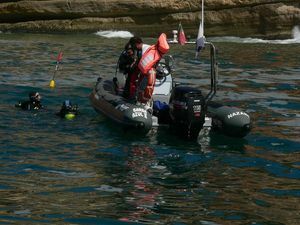 Close to Lisbon you will find several diving centres in the Costa da Caparica, Sesimbra, and the Berlenga Nature Reserve. 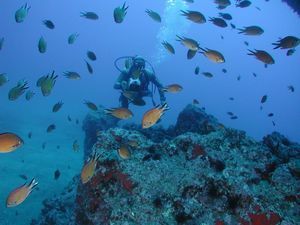 Azores is an excellent destination for divers. In the archipelago there are more than a hundred diving locations, with of up to twenty four different cetaceans to be spotted. Diving with blue sharks or makos, in clear waters of great visibility (up to sixty meters), where more than three thousand marine species live, vertical walls, underwater mountains, whale sharks, mantaray, and much more is what this fantastic archipelago has to offer. Furthermore, in Azores you can dive all year round with water temperatures never below 16ºC. The archipelago of Madeira Islands offers many diving spots along its shores, as well as marine wildlife reserves, caverns, and even shipwrecks, which are great opportunities to take some enviable pictures! In the archipelago you will find several professional diving schools for all levels, mostly in Funchal and Caniço, where you can attend personalized diving courses, dive, and rent equipment. 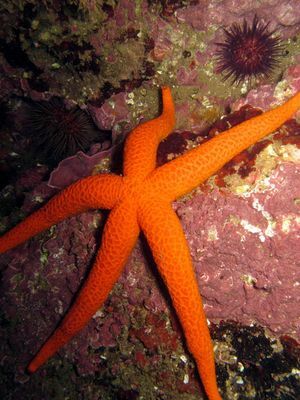 Some of the schools also organize interesting night-dives. Peniche seabed is also part of the Natural Reserve, meet it closely. Dare to discover the seabeds of Nazaré, Portugal. Discover the best spots to practice diving in Algarve. Dive and enjoy the amazing seabed of the Archipelago of Madeira.